Riding the momentum of a historic run to the 2019 AFC Asian Cup, Philippine football must like its chances nowadays winning the hearts and minds of fans indifferent to the most popular sport on the planet. The local game is light years away from attracting support compared with basketball, but Sven-Goran Eriksson knows these past few months is a perfect jump-off point to kick football’s national profile up a notch. 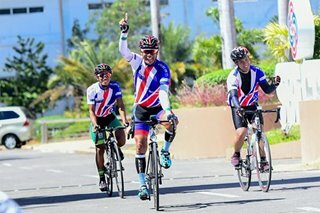 “It is not a football country but the generation of players they have are good and had their football education in Europe: England, Spain and Germany,” the Philippines men’s team coach said in an interview with The Guardian posted on its website Tuesday. Used to the fervent patronage for the sport in Europe and the never-ending scrutiny that went with jobs managing in the international and club levels, Eriksson arrived to jarringly low-key surroundings in Manila in November. “There is a huge difference and not just with the interest and pressure. Behind the scenes with England, the organization and the rest, everything is perfect and was perfect even in my time,” he said. Despite the stark contrast in environment, the 70-year-old Swedish tactician appears to be engaged with his team. The Azkals are winless and goalless in two matches in the United Arab Emirates, but those losses to Korea and China weren’t as decisive as people had predicted for the first-time participants. 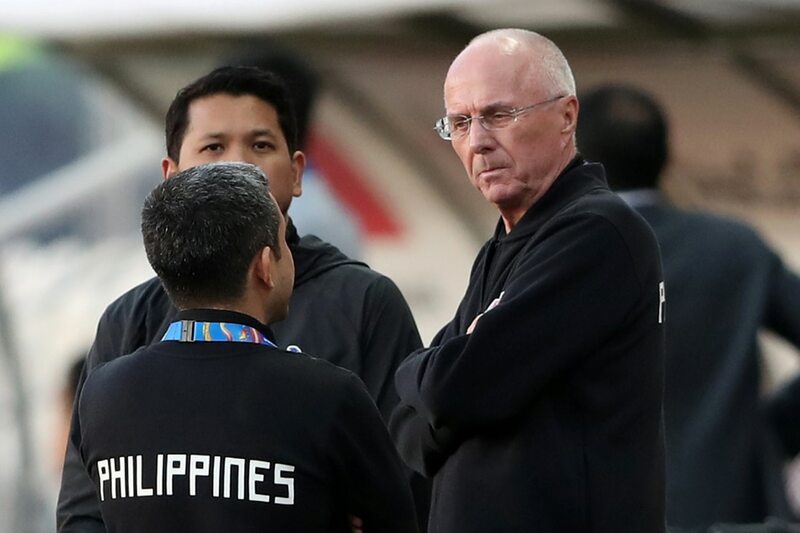 Even the 3-0 loss to China, a marked improvement from the 8-1 shellacking the Azkals absorbed in a friendly last year, didn’t annoy the England coach much. “It seems strange maybe, but I am rather proud of my team even though we lost 3-0,” said Eriksson, whose contract ends at the end of the Cup. The Philippines battles Kyrgyzstan on Wednesday looking to get a win and hoping to be among the four third-placed teams with the highest point total and secure a berth in the knockout stage.